Hey kids... wanna read something super gross? This is the evil PR murder goo that slimed out of gates of hell to praise the tool of the Devil that "won" Wyeth's case in SCOTUS so that no vaccine injured family could ever access their 7th Amendment right to sue when a vaccine kills or disables their child. Law360, Los Angeles (April 11, 2016, 4:00 PM ET) -- Benjamin J. Horwich’s career achievements include helping convince the U.S. Supreme Court to effectively prevent drug companies from exiting the vaccine market, a critical matter of public policy, earning the Munger Tolles & Olson LLP partner a spot on Law360’s list of the top six appellate attorneys under age 40. Horwich, who recently turned 39, was named a partner in January, just 17 months after he joined the firm. 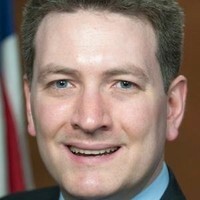 He attributes part of his success as a Rising Star to being exposed to an enormous number of different legal issues through his time as Assistant to the Solicitor General in the U.S. Department of Justice, as well as clerkships in the U.S. Supreme Court, the Third Circuit and the Northern District of California. During his more than five years with the U.S. Solicitor General, Horwich was able to argue 10 cases before the nation’s highest court. One of the most memorable and rewarding cases, he said, was Bruesewitz v. Wyeth LLC, a 2011 ruling that held the National Childhood Vaccine Injury Act of 1986 preempts design-defect tort claims against vaccine manufacturers. Horwich, who argued on behalf of the federal government as a friend of the court siding with the drugmakers, said it was important because it helped prevent pharmaceutical companies from exiting the less than lucrative vaccine market due to tort liability. Horwich said he uses that experience and many others, as well as his time clerking for Justices Samuel A. Alito and Sandra Day O’Connor, to help him in his practice. His ability to “marry the understanding of the local courts with the long view of what a case looks like if it’s impacted by the Supreme Court” brings value to his firm’s clients, he said. In advising Swedish telecom equipment maker Telefonaktiebolaget LM Ericsson Inc. in its patent licensing dispute with tech giant Apple Inc., one of the biggest mobile tech cases of the past year, Horwich said they were preparing to address the unresolved issue of how courts will assess damages for standard essential patents on fair, reasonable, and nondiscriminatory, or FRAND, terms. “That’s an issue at the forefront of the intersection of IP and antitrust law,” Horwich said. While the issue wasn’t decided due to a global settlement reached between the parties in December, Horwich said his appellate experience provides him with a key long-term outlook at the trial level. One piece of advice that he offers young lawyers looking to advance their careers is to distinguish yourself from other attorneys. He is "PROUD" to have left hundreds of thousands of people without the right to walk into a courtroom and tell their story to a jury, or compel anyone in the entire $30B per year industry to testify under oath on product safety... or even hand over one single document. He believes that gutting the 7th amendment to protect a business that kills babies by chemical poisoning, even when they are still in the safety of their mother's womb is "ingenious." And of course that the massive violation of the Bill of Rights to make open fraud that has resulted tricking parents into destroying the health of their own precious children, decimating more than one generation of children, is a "success." Well, to be fair, he is not wrong on that last point. NCVIA and VICP are the most successful frauds in US history. No one has ever managed the consiquence free murder and maiming of children for profit like the post 1986 US National Immunization Program. "But, Ginger," you may say, "Why attack him personally... he is just a lawyer doing his job, right?" Meet Ben Horwich. The smiling face of evil. At your service for the right price. Not even the slaughter of innnocent babies will stop him from getting you the money and power you want. Well, we know he has a price. And he doesn't care what it cost our children. What a vile waste of flesh he is. People like you usually believe the law will correct the issues... If you have any soul left you will come clean and repent of your way. Just because you can does not mean you should. There was serious collision and fraud at the DOJ specifically with Hannah Poling and if you were aware of it you should have your license stripped immediately. Praying the two DOJ attorneys who frauded the Autism Omnibus parents will be publicly embarrassed.